‘Speaking the dialect of trees’ tells a story of human affiliation with the living landscape. The textile alludes to a chorus of rhythms: the ripple of water, the gesture of grass, the trace of a thread, a breathing body. Kakishibu is fermented persimmon juice, yielding colour that unfolds over time. At once a waterproofing and strengthening agent, it is also a slow developing dyestuff, moving from tan to rich brown over days and months of sun exposure. 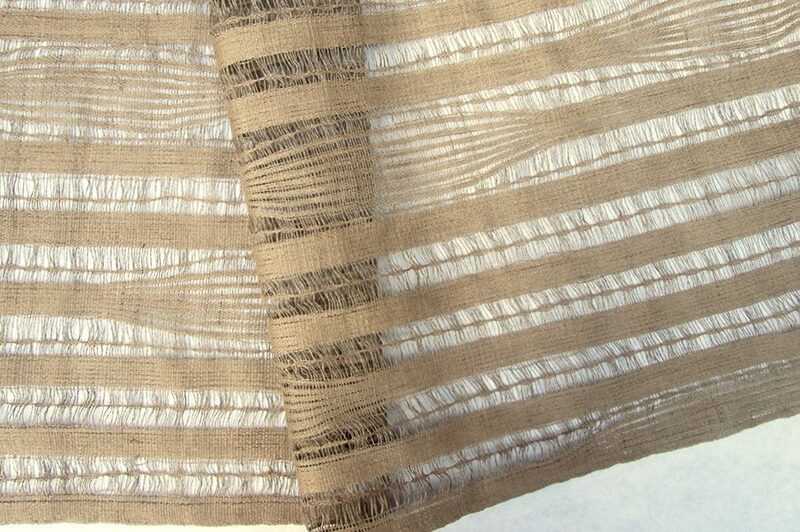 As it ages, a kakishibu textile reflects a deep patina of time and use. 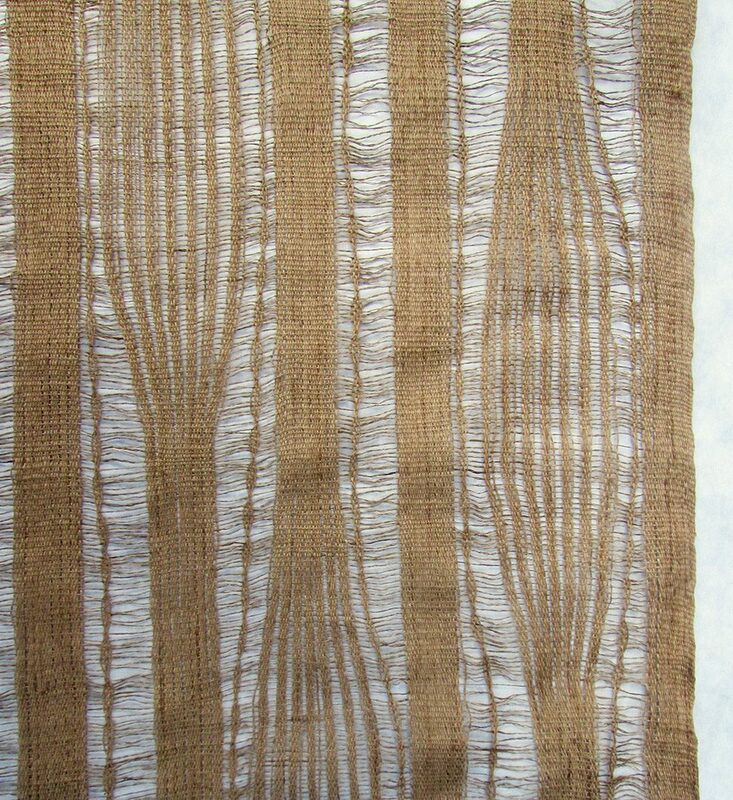 The ondulé textiles have been woven using a RailReed, an adjustable denting system invented by Estonian textile artist, Kadi Pajupuu.